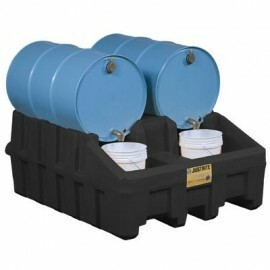 Keep 55 gallon drums close to your work area and safely contain flammable liquids or hazardous waste. EAGLE drum safety storage cabinets give you the choice between horizontal or vertical drum storage. The vertical safety storage cabinets are available for one or two drums and feature a convenient half shelf for additional storage space for accessories or containers. 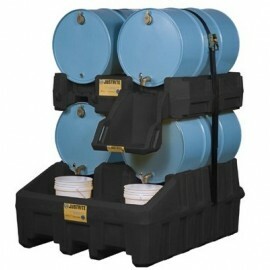 Drum storage cabinets come with drum supports and Haz-Drum cabinets include drum rollers for easy drum handling.